Register your interest for our virtual assistant course! This is the place to register if you’re keen to get the first look at our virtual assistant course. We’ll add you to the waiting list and send you a link to sign up to the online course when it becomes available — with an early access coupon code to say thanks for your early interest! It’s coming soon! Sign up and register your early interest! The course itself will cover building a virtual assistant using Api.ai, from the absolute basics, all the way up to the more advanced stuff, while keeping things fun (learning tech doesn’t need to be boring right?). What platforms are you most interested in? 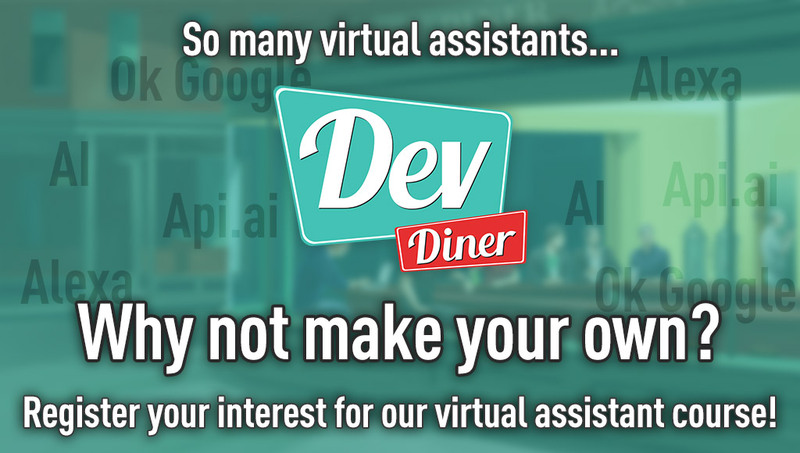 Any requests for things you're struggling with around building virtual assistants that you hope the course will cover? Would you also like to register for our weekly newsletter on emerging tech? Yes please, I'm not on it yet!